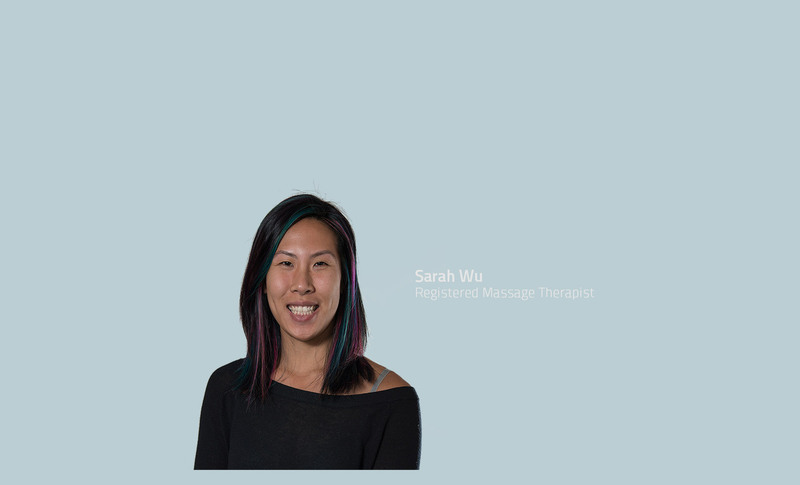 It wasn’t long after Sarah first started seeing a massage therapist before she knew that massage therapy was the career for her. Her massage therapist not only treated her symptoms, but also took the time to learn more about Sarah, her habits and history to try to figure out the root cause. Her RMT explained how the biomechanics worked and that appealed to her engineering background. She also taught her preventative measures and home care to maximize the effectiveness of the treatment and to minimize the chances of re-injury. That is the type of massage therapist Sarah strives to be. Sarah is a graduate of the Canadian College of Massage and Hydrotherapy in Cambridge, Ontario with clinical experience at Sunnybrook Hospital in Toronto (pre and post-natal care, high risk pregnancies), various hospices and long term care facilities, and multiple sclerosis and acquired brain injuries societies. Outside of work, Sarah enjoys rock climbing, hiking, yoga and canoeing, basically getting outdoors whenever she can.